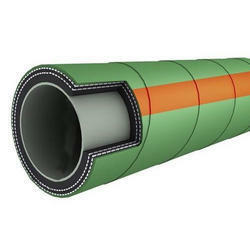 Nominal Size 3/4" to 4"
Lining: Uniform seamless tube of EPDM, Hypalon, Thiokol, Chloroprene, Butyl, SBR, NBR, natural/synthetic/blend rubber compound or a blend depending on the liquid for which the hose is intended to be used. Reinforcement: Plies of rubber coated woven textile or braided synthetic yarns with or without helical galvanized steel wire. 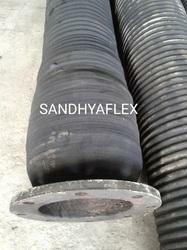 Sandhya Enterprises Manufacturer and Supplier of XPLE Chemical Hose. 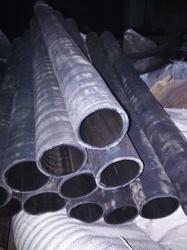 Working Pressure 10bar, siz:20mm ID to 100mm ID. 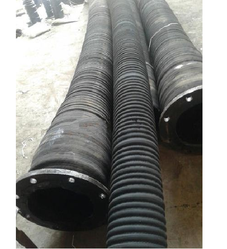 Nominal Size 1/2" to 4"
Radiator Hose offeredcomprise quality finished rubber hoses that come with high tensile strength so as to provide for longer service life. 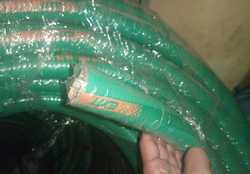 Further, these hoses are designed to resist degradation due to the presence of cooling fluids as well as have high ozone resistance. Some of its features include coming designed and developed as per standards like SAE J20, DIN 73411. 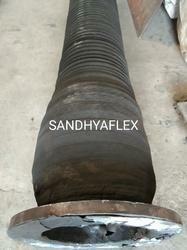 Nominal Size 6' to 8"
Sandhya Enterprises AN ISO:9001 2015 Certisfied Company, Manufacturer and Supplier of Rail and Road Tanker Oil Suction and Discharge Rubber Hose. 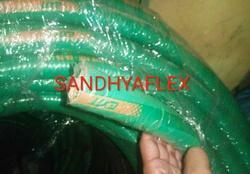 Sandhya Enterprises manufacturer and Supplier of XLPE Chemical Hose. 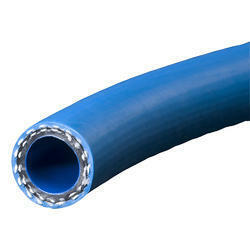 Looking for Chemical Rubber Hose ?